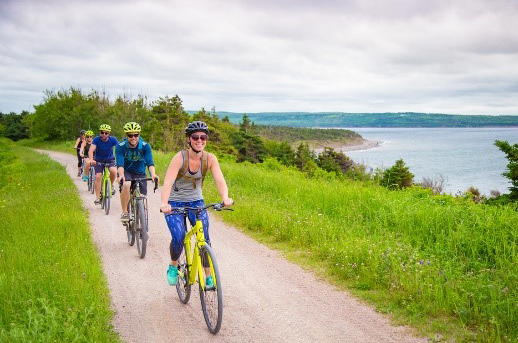 The Celtic Shores Coastal Trail is a 92 km (57 mi) multi-use trail, along former rail bed, stretching from Port Hastings to Inverness on the west coast of Cape Breton Island. Its also part of the Trans Canada Trail and the International Appalachian Trail. 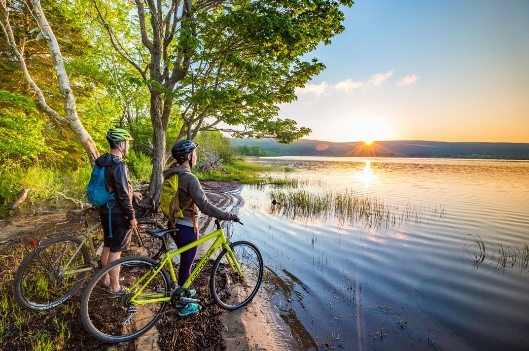 Great for off-road cycling or long-distance trekking, the easy, flat trail meanders along the coastline, through picturesque wilderness, connecting several communities and attractions that showcase the area’s vibrant Celtic culture. 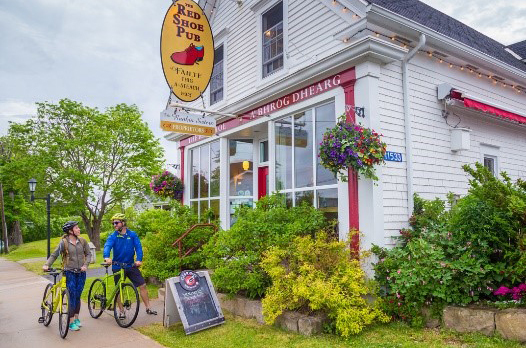 Along the way, you’ll discover active fishing harbours, warm-water beaches, world-renowned golfing, and some of the best live Celtic music on the island! Community kiosks and interpretive panels along the trail provide a glimpse into the local history, environment and culture. 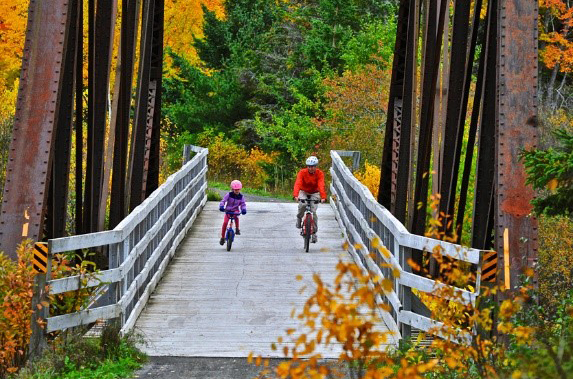 The Trailway is part of the Blue Route provincial cycling network. Trailheads: There are over thirty trailheads and access points. 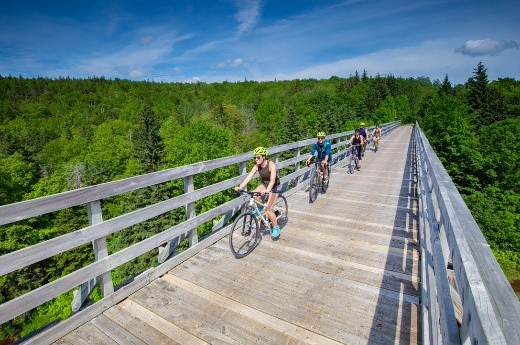 For location and GPS coordinates visit the Celtic Shores Coastal Trail website. The trail grade is almost flat with very few slight inclines. 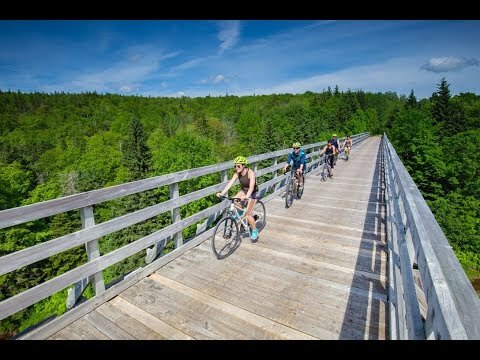 Hybrid or mountain bikes are best suited for this trail. 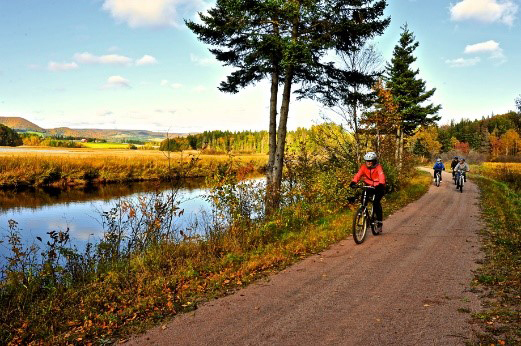 Other uses include hiking, snowmobiling, cross country skiing, ATVing, equestrian, geocaching. 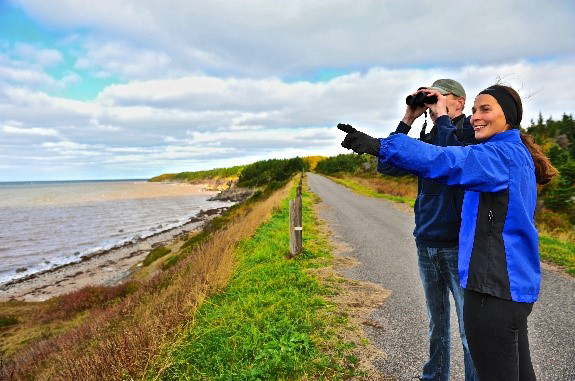 Watch for pilot whales, bald eagles and a variety of sea birds as you enjoy the sweeping coastal views between Port Hastings and Long Point. Pack a picnic for the Troy Station trailhead or Christy’s Look-Off, both provide a rest stop overlooking St. George’s Bay. Join an afternoon ceilidh at the Celtic Music Interpretive Centre in Judique, with lunch, live music, and step dancing. 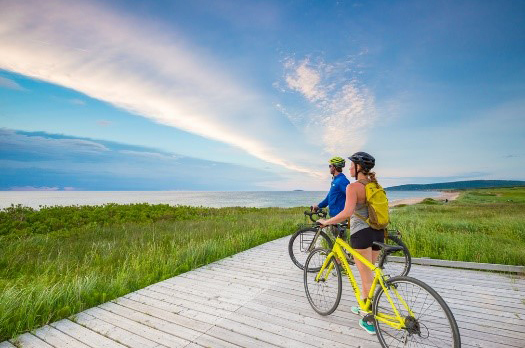 They also offer guided tours along the Celtic Shores Coastal Trail. 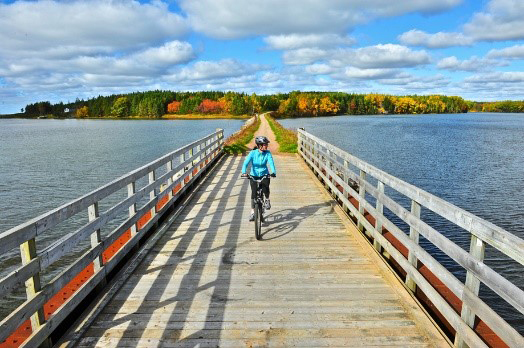 Relax in the warm salt waters of West Mabou Beach Provincial Park, Port Hood Station Provincial Beach, and Inverness Beach. Foot stomping Celtic music is always on tap at the Red Shoe Pub in Mabou. Try the signature Glen Breton Rare Single Malt Whisky during a guided tour at Glenora Inn and Distillery in Glenville. 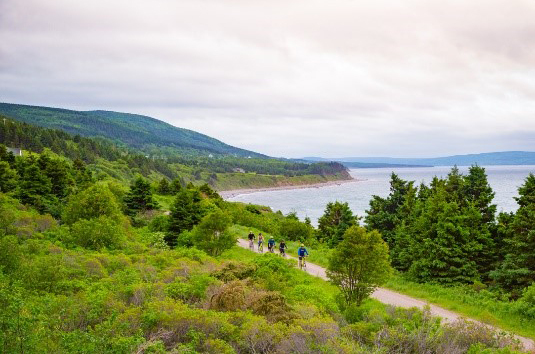 Play a round of golf at the renowned Cabot Links and Cabot Cliffs in Inverness. Get on the water with Eagle Eye Outfitters, who offers a variety of boat tours, as well as bike and kayak rentals. Discover the work of local artists at the Inverness County Centre for the Arts and take home a piece to remember your visit. Feel the thrill of Bluefin Tuna Sportfishing during a guided tour off the coasts of Port Hood, Mabou and Inverness.